My friend has extensive stage small cell lung cancer. 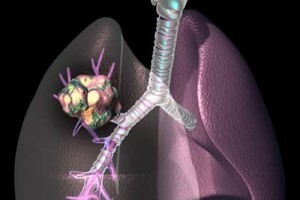 The primary tumor is 7cm, located at the top apex of the right lung, abutted against the mediastinum. The tumor was pressing against nerves causing extreme pain in the right shoulder, upper right back & chest. A course of chemotherapy (carboplatin & etopicide) has significantly reduced the pain & without having had confirmation scans, I can assume some reduction in tumor size. Because the cancer has metastasized &; is small cell, the most aggressive type, his prognosis is not good. 10 months is the median life expectancy from diagnosis, which was 3 months ago. The overall 5 year survival rate is 2% – 3%. My friend is about to attempt a water fast. He’s in his mid 30’s and has no other underlying health issues we are aware of, no heart problems, not diebetic. I’m seeking advice on whatever medical dangers I need to be aware of while undergoing a water fast. Some signs are easy to monitor, temperature, blood pressure, blood glucose levels, ketone levels, blood oxygen saturation, we have gadgets to monitor these & it’s easy to find what the acceptable levels are and be alerted to any potential problem. We don’t have the means to monitor blood or urine levels for other factors without obtaining specific referrals to pathology for tests. What specific compounds should i request referals to be tested for? and how often? How important is it to make sure levels are maintained, of certain electrolytes, vitamins, minerals, enzymes, hormones etc. & what would the acceptable parameters be for these levels before it signifies a medical danger and that the fast should be broken? Water fasting is not the the best choice. Juice fasting with intermittent water fasting will have better results and is very safe. 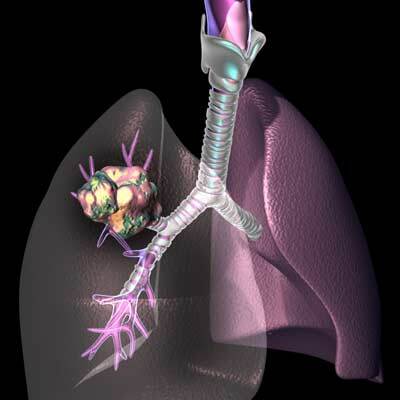 Although a juice fast over 40 days will address the root cause of cancer it may not kill it. We use a much more complex treatment array that includes juice fasting. If you go to can go to http://fasting.ws/cancer you can see our latest research. The final protocol is in development with our research team. Why not sign up to premium support so that we can invest our time in your friends treatment. Cancer needs a shotgun approach with comparative diagnostics during treatment (PET or MRI). But for a quick answer, you do not need all the diagnostics if you alternate juice and water fasting as the body has more than it needs to maintain balance. The body makes it very clear when you need to break a water fast. Thank you Tom for your reply & for the very handy link provided to the cancer treatment component evaluation, this is very much appreciated. I’m a big supporter of juice fasting, although I thought my friend would require a more radical approach. I was concerned as to how his kidneys would hold up during ketosis while on chemo, with the rapid toxic dump perhaps being overwhelming to the kidneys. Juices are likely to be the better option. I’m very interested in the research into fasting prior to chemo, the fasts in these studies are 2-3 day fasts and appear to protect healthy calls from chemo damage, allowing for higher doses of chemo drugs that would usually be lethal. My friends treatment is classed as palliative chemo, not curative. we just got the latest ct results back today and the primary tumor has shrunk to 3cm. where do I go and how much cost? I’ve studied a fair bit on this subject recently and am looking forward to picking your brain on fasting and metabolism.